Royal Sundaram Alliance Insurance Company Limited is a joint venture between Chennai-based Sundaram Finance and Royal & Sun Alliance Insurance Group of UK. Sundaram Finance holds around 74% and RSA holds the remaining 26% in the company. Ajay Bimbhet is the Managing Director of Royal Sundaram Alliance Insurance Company. Royal Sundaram General Insurance Company takes pride to be the first private sector general insurance company in India. Since then we have been at the forefront of providing innovative general insurance solutions to individuals, families and businesses. Royal Sundaram also offers specially designed products to the Small and Medium enterprises and Rural customers. Do everything to offer customers peace of mind through innovative insurance solutions, products and superior service. Conduct the company dealings with honesty, without ever compromising on integrity. To be committed and take responsibility. Invest in people and recognize as well as reward superior performance. The mission and to the goals conveyed by the vision. With the support of a committed, positive team, almost anything can be accomplished. 2014 Celent recognition for developing an intelligent claims management system to improve the productivity of the staff and increase customer satisfaction. 2013 Celent recognition for having a Model Insurer Asia component in the area of Distribution/New Business. Royal Sundaram alliance insurance company limited reviews mainly specifies that it offers a wide range of specialized insurance covers in fire, marine, engineering, liability and business interruption risks. Royal Sundaram currently has over 6.7 million customers, 1700 employees and its products are distributed in over 180 cities across India, through agents, distribution partners, affinity partners and brokers. 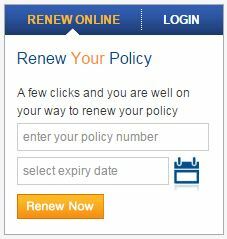 You can also renew your policy the company had provided an option in the company website for customer usage Royal Sundaram Alliance Insurance Company Limited Online Renewal option. Royal Sundaram General Insurance Claims Philosophy is to provide only the highest quality service for insurance coverage to all of the customers in India. This means service that is fair, prompt, honest and efficient. The company procedure for General Insurance Claims are designed to make filing a claim form simple and convenient, and to ensure settlement is prompt and fair. For more information regarding Tax Benefits, visit www.taxqueries.in.